Our reformed magazine with interviews, stories and articles from IOTA community has been published. 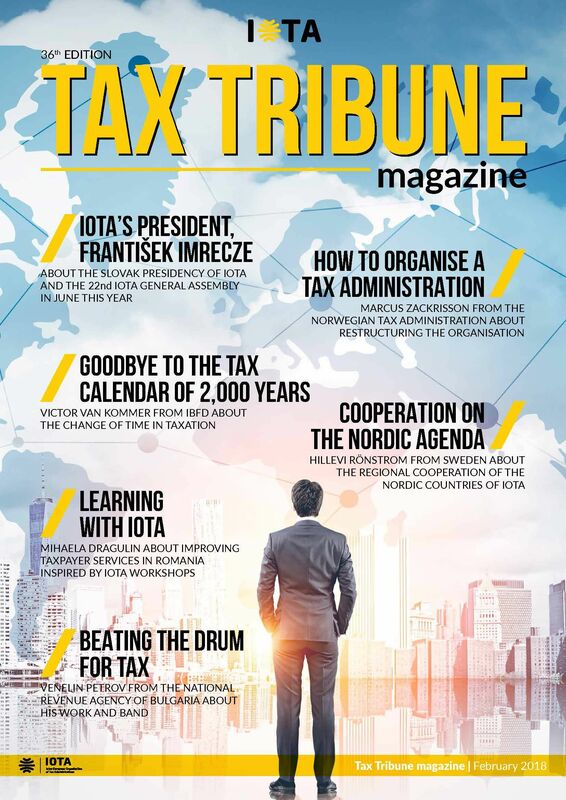 Read about how Romania improved taxpayers services inspired by IOTA workshops, how IOTA’s President sees our organisation and the challenges we are facing, how a tax administration can be reorganised, how we will say goodbye to the tax calendar of 2000 years, how a senior manager in tax administration can be also be a drummer in a heavy metal band and how the Nordic countries of IOTA cooperate together. Do not miss the opportunity to read our magazine and experience how interesting and colorful our tax community is!